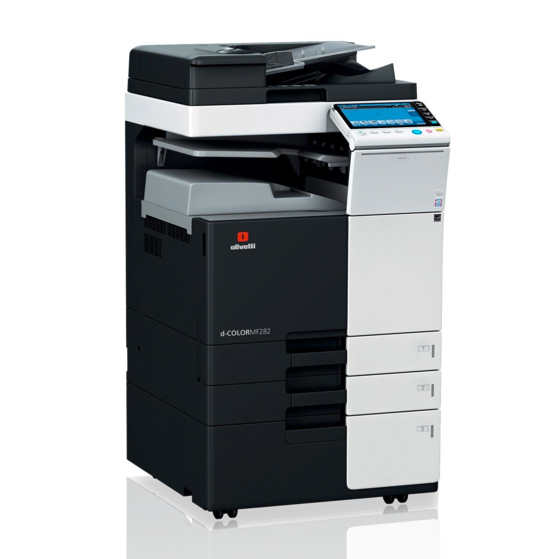 Nationwide Copiers Ltd provide a wide range of new machines with many purchasing options. Please contact us for our brand new machine prices and information. 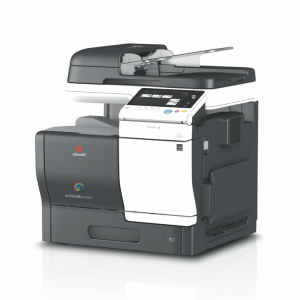 If you’re looking to buy a new photocopy machine in Milton Keynes, look no further, Nationwide Copiers can help. 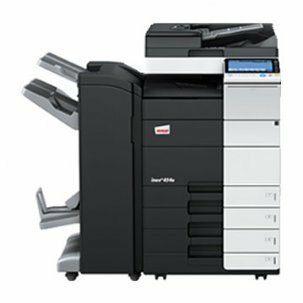 When it comes to a new photocopier system for your office, we have a selection of some of the industry’s best brands, our product portfolio includes the most innovative machines that have a full range of functions and technical attributes. At Nationwide Copiers, we specialise in selling new photocopiers to our clients across Milton Keynes and the rest of the UK. This includes only the most well known quality brands such as Kyocera, Xerox, Riso, Develop, Sharp, Olivetti and Canon. 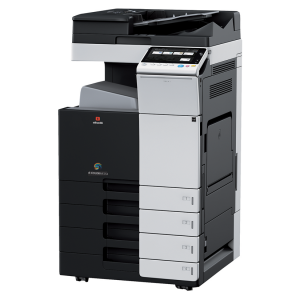 When you choose us, our experts will guarantee you only receive a new photocopier product of the highest standard. We pride ourselves on not only providing quality photo copy machines, but also products which are value for money. We have over 30 years’ experience in the area and our team offer only a fast, reliable and effective service through offering affordable prices on our photocopier products as well usage based pricing and low payments with no hidden fees. When it comes to photocopying, it’s a vital part of your most office set ups and every day, they’re becoming more and more important for a range of business operation. 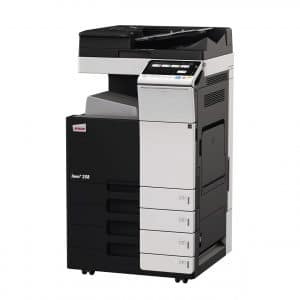 As well as standard types of photocopiers, there’s a whole host of products out there which include a variety of multi-functional photocopying functions, so as well as photocopies, you can also print, scan and fax using the same system. Why should I buy a new photocopier? When it comes to buying new photocopiers there are a number of reasons, including that they’re much more convenient over leasing. Some hiring guidelines include a three year minimum trading requirement, but by purchasing one upfront this won’t be an issue. Buying a brand new photocopier means you can also take out a maintenance contract, so if you lease a photocopier you’ll be tied into a maintenance contract with the company your leasing the photocopier from. Purchasing a photo copy system outright means you can make your own decisions about the system. At Nationwide Copiers, we recommend purchasing a brand new photocopier as in the long this will save you money and potentially be the cheaper option as you won’t pay any interest on the system. For photocopiers for sale in Milton Keynes, call Nationwide Copiers today! 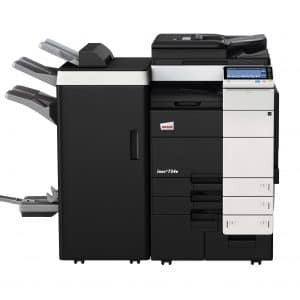 So should you require a new photocopier in Milton Keynes or anywhere in the UK, look no further, our team of professionals can help, call us today. You can trust you’ve come to the right place with Nationwide Copiers, we have a wealth of experience and have been providing photo copy systems to the businesses of Milton Keynes for a number of years. Speed A4/A3: 22/14 ppm in colour and black & white. Paper formats: A6-SRA3, custom formats and banner format up to 1.2 metres length. 9 inch colour touch panel with multi-touch support. Dual-scan document feeder scans both sides of double-sided originals in one run at a speed of 160 ppm. Modular finishing and paper tray options for customised configurations. With the introduction of the new “d-Color A3 Range”, Olivetti has provided a complete line of products based on a shared philosophy and functionality. The models comprise the d-Color MF222PLUS, deliver high quality prints at 22ppm, 28ppm and 36ppm, respectively, whether in colour or mono. With 600 x 1,800 dpi ConTone quality for printing DTP documents and 1,200 x 1,200 dpi quality for printing fi ne line detail, maps, drawings and small fonts. Using the advanced functionality of the new range is easy. The innovative 9-inch Capacitive Colour Multi-touch Display adopts “Flick, Drag, Zoom and Rotate” technology, similar to the operation on today’s smartphones and Tablet PCs. The menu screen provides direct access to Scan, Fax (option), Box (archive), Copy and even your corporate Intranet (via the web Licence Option). In effect, this panel becomes the access point for the functions of the machine guiding the user in the generation, sharing and archiving of the company’s document fl ow. The menu can be customised to make processes more automatic; short cuts to functions can be created using a selected key or actions can be condensed into a single keystroke by saving macros. Speed A4/A3: 45/22 ppm in colour and black & white. Paper formats: A6-SRA3, custom formats and banner format up to 1.2 metres length. 9 inch colour touch panel with multi-touch support. Dual-scan document feeder scans both sides of double-sided originals in one run at a speed of 160 ppm. Modular finishing and paper tray options for customised configurations.